Posted on 05 January 2017. There are a lot of dire predictions about our representative democracy out there. We’re just past a presidential election campaign in which candidates complained about a rigged political system. Now, commentators worry about the imminent failure of the American experiment. I don’t agree with these predictions of calamity. Our representative democracy is not on the verge of collapse. But I do see stresses and tensions that should concern anyone who cares about our system of self-government. Our representative democracy has been remarkably stable and successful for over two hundred years, but that is no guarantee it will survive and prosper. The mere fact that this nation is filled with so many citizens who have lost confidence in key institutions is worrisome. The Gallup organization’s ongoing polling has found declines in public confidence over the past few decades in everything from the Supreme Court and Congress to the police and even the military. It shows a pervasive drop in public regard for the institutions that undergird American life. The reasons stem in part from a declining willingness among the people who inhabit those institutions to observe the norms of behavior that evoke public confidence. This is notable especially on Capitol Hill and in political life, where the parties seem to have abandoned fair play and taken to using institutions to maximize partisan advantage. In the Senate, the recent refusal even to hold hearings on the President’s nominee to the Supreme Court brought the lack of comity between branches to a new low. Politicians engage in a degree of partisanship that a few decades ago would have disqualified them in the eyes of the voting public. They attack opposing politicians’ patriotism, impugn their loyalty, accuse them of criminal activity, question the fairness of the election process itself — with virtually no evidence — and seek to undermine their effectiveness in office. Small wonder that elected officials’ legitimacy is increasingly called into question among the public at large. If we had a media that prized both the vigilance and impartiality it displayed during its heyday, these tendencies might not run so rampant. Similarly, if politicians were willing to negotiate, compromise, and search for remedies to the nation’s challenges, then our current dysfunctional inability to get things done would be less of a hallmark of these times. Yet too many politicians seem fine with dysfunction. They appear more interested in holding power than in using it to solve problems. They reject the norms of behavior in a civil society — for example, the New York politician who wished President Obama dead of Mad Cow Disease. They sidestep accountability and transparency: tweeting their stances rather than facing hard questions, avoiding press conferences that would give reporters a chance to hold them to account, preferring public rallies to the give and take that allows the public to examine and scrutinize their stances. All of this poses real challenges to the system. So what might be done to restore public faith in its fairness, justness and decency? Paul Light, a professor of public service at New York University, recently came out with a paper, “What Americans Want from Government Reform,” that reinforces the proposals many reformers have been pushing in recent years. 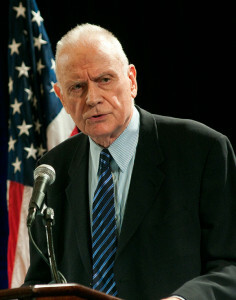 His list of fixes that would enjoy support among ordinary Americans in both parties includes reducing the role of money in elections, boosting ethical constraints on elected officials, reducing waste and inefficiency, finding ways to increase the voices of ordinary citizens, and ensuring that civil servants and political appointees are qualified and competent. Americans don’t expect miracles. They just want the basic features of government to work. But here’s the thing: making this happen is up to us. Politicians may be directly responsible for the problems above, but you and I as voters allow them to get away with it. We voted them into office, kept them there, and paid little attention to their shenanigans. The problem is not just the politicians. It’s us, too. The first words of the Constitution read, “We the People,” not “We the Government.” It’s up to us to strive for a more perfect union, and to be vigilant about these adverse tendencies that threaten to undermine our representative democracy.